In the heart of the Latin Quarter in Paris, there’s an enchanting shop which sells products related to the beloved children’s book Le Petit Prince. The shop owners tackled their shipping and marketing challenges with PrestaShop: a popular online e-commerce platform. Soon they were pulling in a half a million Euros from their online store. In this article, you’ll learn what makes PrestaShop such a popular option for e-commerce. We’ll survey its unique features. And you’ll receive tips on how to choose a good e-commerce solution. Plus you’ll learn what to look for in a PrestaShop host. I’ll also share some of my personal recommendations for PrestaShop hosts, to help you get started in your search. Who's Best for PrestaShop Hosting? We think SiteGround is the best choice for PrestaShop. (Billed as $5.45 Per Month) ⓘPrices in are approximate, based on current exchange rates. The host will likely charge you in USD, or at a different exchange rate. PrestaShop is free, open source software for the development of e-commerce websites. With PrestaShop, anyone can create an impressive online store. No coding knowledge is required. By facilitating a reliable and straightforward transaction process, PrestaShop makes is easier for merchants to focus on growing their businesses. Getting ready to open up shop online? If you’re planning to sell products from your website, you’ll need e-commerce software to build an online catalog, manage orders and inventory, and allow customers to buy and pay online. There are many e-commerce software solutions available today, but PrestaShop is one of the most popular. Completely free and open-source, PrestaShop was first released in 2007 and continues to be developed today. PrestaShop has headquarters in Paris and Miami and is also supported by a dedicated community of hundreds of thousands of volunteer contributors from around the world. What are the Most Popular PrestaShop Features? One reason for PrestaShop’s popularity is that the software is free and open-source, but just because it’s free doesn’t mean it can’t compete with pricier e-commerce application software. The winner of two Best Open-source Business Application awards in 2010 and 2011, PrestaShop comes packed with basic to advanced features and can be expanded with free and premium add-ons. It is always being actively developed, with each PrestaShop version containing more features than the last. With all its features, PrestaShop concentrates on increasing your sales. You can customize the software for a small shop with one product, or a complex inventory containing thousands of items. Your commercial presence can be made more dynamic with exports to third parties like eBay and by cross-selling related items in a tidy bundle. PrestaShop’s YouTube channel is a good source of tutorials and e-commerce coaching. With minimal limitations, you can include as much detail as you wish about merchandise organization and attributes like color, size, and style. PrestaShop can adjust prices and weights to reflect customers’ choices. Downloadable products, like pictures and television shows, may be displayed within the product description and made available as email links after purchase. PrestaShop comes with all the essential features an e-commerce store needs, as seen above. But there are cases where you need something more advanced, or more specific to your needs. In those cases, you can look to the PrestaShop Add-on Marketplace. We will look into each of these add-ons below. There are hundreds of modules, divided into categories, that allow you to add advanced functionality to your website. For example, you can install a module to add a homepage slider, custom product filtering engine, or PrestaShop forum to your site. Instead of designing the look of your site from scratch, a PrestaShop theme allows you to start with a professionally-designed store, and fill in the blanks and make a few setting choices. You can browse and interact with themes on the PrestaShop site. The themes cover all sorts of industries and styles. Pictured: a section of a theme home page. Finally, the “services” section lets you buy advanced training and support. It’s there if you need it, but in most cases, you can find high-quality free training elsewhere. Is PrestaShop Right for You? PrestaShop software is ideal for those new to e-commerce, as well as for more experienced users. PrestaShop does require a bit of basic technical knowledge to install and set up with your chosen web hosting plan. If you have the budget and prefer not to handle the details of setting up your store yourself, PrestaShop may not be the right choice for you. On the other hand, if your budget is small, but you want a professional-looking, fully-featured store and you don’t mind handling the setup yourself, PrestaShop is an excellent choice for your e-commerce website. If you get stuck setting up your store, the PrestaShop site includes extensive guides for merchants, as well as developers and designers. On the official site, you’ll find documentation and tips for optimization, and an online forum that perpetuates the spirit of an open source community. The first step in setting up your online store with PrestaShop is to select appropriate PrestaShop hosting. The PrestaShop software is partnered with several hosting companies based all over the world, including InMotion Hosting, 1&1, and WebHostingHub. It also maintains its own in-house Web servers, PrestaBox. Alternately, you may want to look into a non-affiliated host. Which Operating Systems are Compatible with PrestaShop? PrestaShop strives to place few technical constraints on users, and so supports Linux, Windows,and Mac operating systems, and has no special database requirements. Most hosts will be able to support a PrestaShop installation, but first be sure to check that your hosts meets the minimum requirements for the software. It’s possible to download PrestaShop’s source files, configure them, and then transfer those files to your host account using FTP. But that is way more complicated than it needs to be because many hosts let you install PrestaShop with just a few clicks in your control panel. Most hosts give you a customized cPanel control panel to manage your site, and a script installer is almost always included. The script installer lets you choose from hundreds of popular open-source software that you can install on your server, and PrestaShop is one of the most used. One popular script installer is the Softaculous auto-installer, which does indeed support PrestaShop. It’s always a good idea to check if a host service provides a script installer that supports PrestaShop before buying any plans. Looking for a host for PrestaShop? The tool above will help you choose a host based on specific features. But, if you’d like to start with the most popular hosts, consider the options below. If you’re looking for the simplest possible PrestaShop hosting option, it’s probably Bluehost. 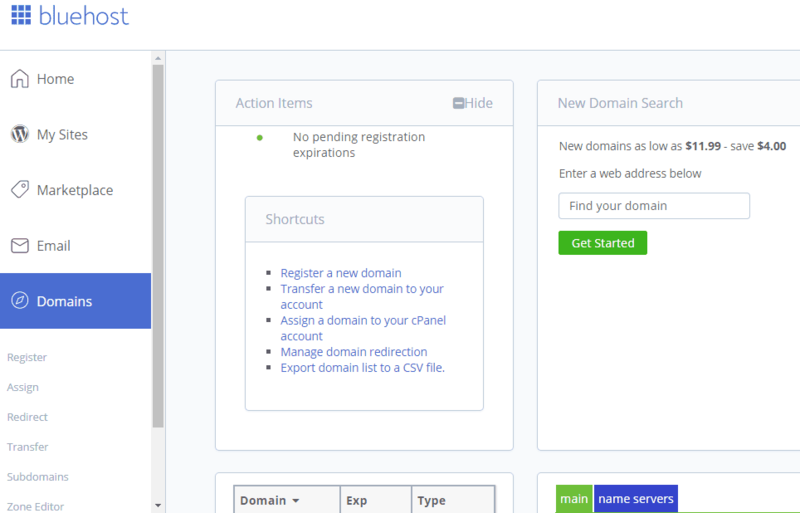 Bluehost includes one-click installation for PrestaShop, and has a standard cPanel for managing your PrestaShop site. The plans are all cheap and have reasonably solid performance. You can start on the cheapest shared hosting plans, and upgrade to a VPS or dedicated server (still on Bluehost) in just a few clicks. I recommend InMotion Hosting as a PrestaShop host if you’re looking for competitive prices, solid performance, and great support. They offer multiple shared hosting plans that are specifically designed for hosting PrestaShop. Each hosting plan comes with PrestaShop pre-installed, free SSD space to improve site speed, as well as a free SSL certificate to meet basic e-commerce security standards. InMotion Hosting offers an unusual 90-day money back guarantee, plus 24/7/365 U.S.-based support. Finally, if you’re migrating an existing PrestaShop shop, or know you’ll have high levels of traffic, consider Liquid Web as a potential PrestaShop host. They’re more expensive than most, but their servers are cutting edge and they have the best support on the web. If you have a store where downtime and load time are crucial in order to maximize conversion rates, it’s worth the extra cost. Liquid Web has a 100% power uptime guarantee, as well as 24/7 highly trained and helpful “heroic” support. PrestaShop is a shopping cart platform that is designed to help businesses create and manage online stores. Its real strength lies in meeting the needs of small- to medium-sized businesses. What is PrestaShop’s history and background? PrestaShop was originally released in 2007 and is written in PHP with a MySQL backend. According to the company, it powers more than a quarter million online stores in over 200 countries. Headquartered in Paris and Miami, PrestaShop boasts a community of over a million members. The software is completely free and open source. If the software is free, how does PrestaShop stay in business? PrestaShop has formed partnerships with a number of companies, such as Google and PayPal. The partner companies see their services promoted in PrestaShop, while PrestaShop is funded and available for free to its users. The software is also supported through the purchase of optional features and themes, as well as paid technical support plans. What kind of add-ons and customization options does PrestaShop provide? PrestaShop Addons Marketplace offers thousands of modules and themes. These include modules for SEO, advertising, payments, shipping, social networks, merchandising, and more. The available themes help you completely customize PrestaShop to suit your needs, as well as support mobile users. PrestaShop Hosting is a special hosting package offered through 1&1 that allows you to easily install PrestaShop. PrestaShop allows you to download the software and install it on your own server. Most hosting companies offer one-click installs of PrestaShop via applications like Softaculous, which is probably a better option for most people. What if I need help with installing and customizing PrestaShop? There are a number of PrestaShop Partner Agencies that offer expert PrestaShop services. There are also a number of technical support plans that include installation and configuration, as well as online training. You can also ask questions on the PrestaShop Forums. What alternatives are there to PrestaShop? There a huge number of ecommerce and shopping cart applications. Three popular ones are: Magento, osCommerce, and Zen Cart. How does PrestaShop compare to Magento? Magento is a more popular online store than PrestaShop, and has been around longer. It offers more themes and customization options than PrestaShop. Its feature set is also more diverse, making it a more powerful overall solution. That power, though, comes with a tradeoff, as Magento is not as easy for the beginner or non-technical user. This is an area where PrestaShop really shines in comparison. 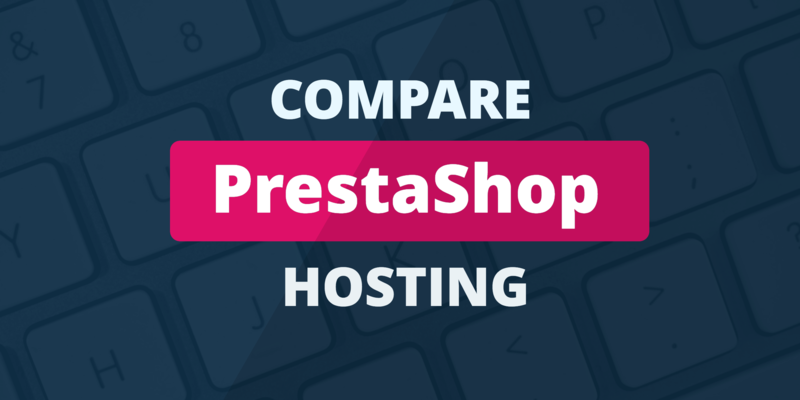 How does PrestaShop compare with osCommerce? osCommerce has been around for a long time — since 2000. In spite of that, it has lost ground to newer products, such as PrestaShop. Overall, PrestaShop is much easier to use while still including powerful functionality.